NetApp and Cisco have announced an extension to their joint FlexPod solution with a package which better suits smaller companies. The current FlexPod solution consists of a Cisco UCS server platform and a Cisco network infrastructure combined with a NetApp FAS32xx or 62xx storage solution. It’s a great solution but it is quite expensive for smaller companies running smaller workloads. The sizing was based on the US definition of enterprise and Small and Medium Business (SMB) which is too large compared to European standards. The components which can make the FlexPod solution costly for smaller companies are the storage and network components of the solution, NetApp FAS32xx or 62xx storage and Nexus 5000 switches. NetApp and Cisco have now addressed the first issue and added the NetApp FAS2240 to the FlexPod solution stack. In the past the NetApp FAS2000 series wasn’t suitable for FlexPod because it lacked 10Gb ethernet support which is required in a FlexPod solution. But with the introduction of the NetApp FAS2240 this limitation was dropped but that’s not enough to use the FAS2240 in a FlexPod solution. A new component must first be tested in combination with all other components and if the new component is suitable, new validated designs must be developed which include the NetApp FAS2240. Besides that, in the past FlexPod could only be build on Cisco UCS blade servers. The new entry-level FlexPod now also includes Cisco C-series servers. The entry-level FlexPod combines NetApp FAS2240 storage, the Cisco UCS C-Series servers, Cisco Nexus 5000 Switches, Cisco Nexus 2232 Fabric Extender, and Cisco UCS 6200 Series Fabric Interconnects. 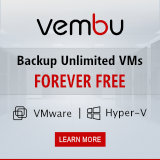 This entry level FlexPod provides greater flexibility and customer choice, supporting multiple hypervisors and business applications to help accelerate deployment of private clouds. The entry-level FlexPod easily scales to larger enterprises by simply adding incremental capacity as needs grow for larger application workloads. This ensures customers investment protection with the new entry-level FlexPod solution. Besides the updated hardware, Cisco and NetApp have also validated several new management solutions for all FlexPod design architectures. 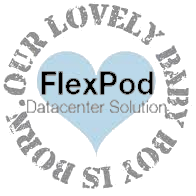 Within the FlexPod solution there is now greater flexibility and choice in how customers can manage their FlexPod solution. Solutions available today include products from CA Technologies, Cloupia, and Gale Technologies which provide validated, unified, turn-key functionality for automation and orchestration. These solutions have passed extensive testing in Cisco and NetApp labs against a broad set of functional and design requirements. 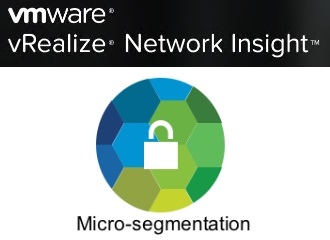 Of course customers can also maximize their investment in existing management tools by managing their solution via open APIs, Cisco Intelligent Automation for Cloud, VMware vCloud Director or VMware vCenter Server. So, Cisco and NetApp now include cheaper storage and server components in FlexPod solutions, this leaves the ever expensive Cisco Nexus 5000 network components needed. I would love to see Cisco and NetApp take the last step and also introduce an entry-level Cisco Nexus network based on e.g. 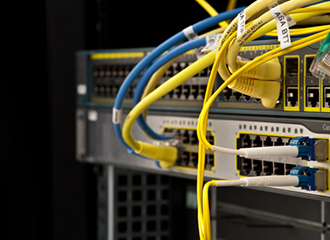 the Cisco Nexus 3000 series switches. With the traditional FlexPod (Cisco UCS blades, NetApp 3000 series and Cisco Nexus 5000) the networking part of the solution was already over-capable and expensive but now with the entry-level FlexPod, a Cisco Nexus 5000 is a hydrocephalus, top-heavy networking solution on a overall great, sleek and scalable solution. Since Cisco and NetApp first announced FlexPod in November 2010, it has grown to become an extremely popular converged infrastructure platform. More than 850 customers use FlexPod for their data center infrastructure – representing more than 400% growth in customer adoption in less than a year. FlexPod is available through more than 500 FlexPod partners worldwide and 9 FlexPod partners in the Netherlands of which my current employer, Imtech ICT, is one of only two Cisco Gold certified partners.